After working as a make-up artist in Hollywood in the 1950's, Shu Uemura established his atelier in 1965, and developed its own beauty philosophy and theory. 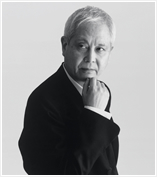 Then,he established JAPAN MAKE-UP in 1967, and changed company name to Shu Uemura cosmetics in 1982. He created cosmetic brand with worldwide popularity. Established Immudyne Co., Ltd. in 2002. He continued his activities "for the beauty of women" until dying on 29th December 2007. 1977 Graduated from Tokyo University of Science University of Pharmacy. 1982 Graduated from Tokyo Institute of Technology Graduate School of Comprehensive Science and Engineering and Life Chemistry major. Doctor of science, pharmacist. 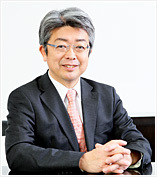 He was involved in research and development for about 20 years at a pharmaceutical company, and deepened his friends through product development with founder, Shu Uemura . In 2002 he joined Immudyne Inc. and engaged in all product development from entering the company to the present. and that immunity breeds beauty and health. within for a sounder lifestyle of beauty. we take extra care in the selection, balance and compatibility in our blends. we continue to improve and fortify our products. Production, sale, import, and export of health-supplement foods Development, sale, import, and export of the ingredients of health-supplement foods, etc. Consultation on health maintenance, improvement and management, Other related operations Main products: Health-supplement foods, health beneficial foods, etc. Copyright © 2005-2019 immudyne online shop All rights reserved.